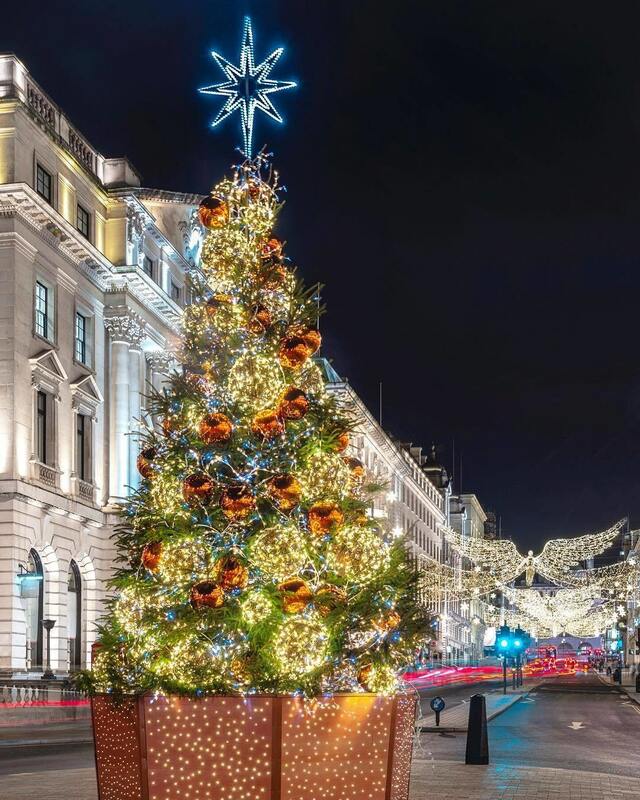 2018 has been a good year for London. 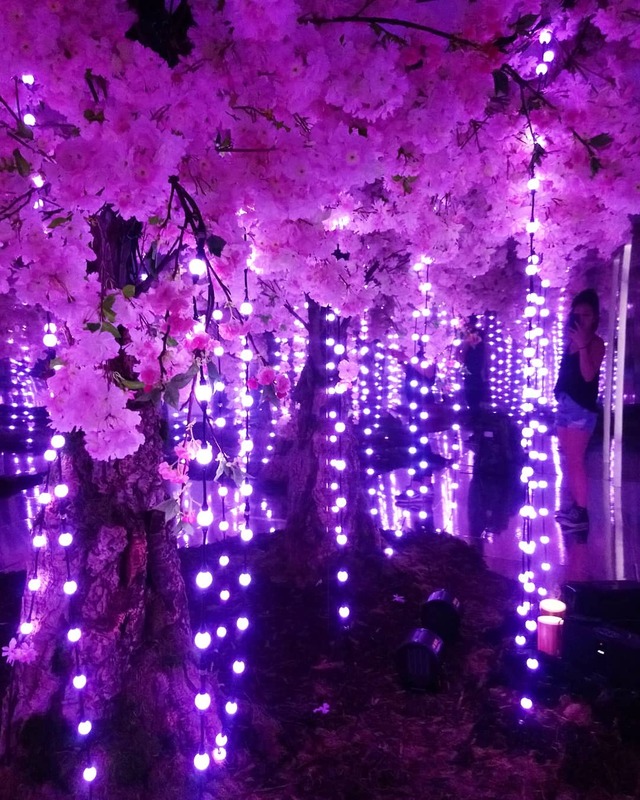 Here are some of the city’s Instagram highlights. 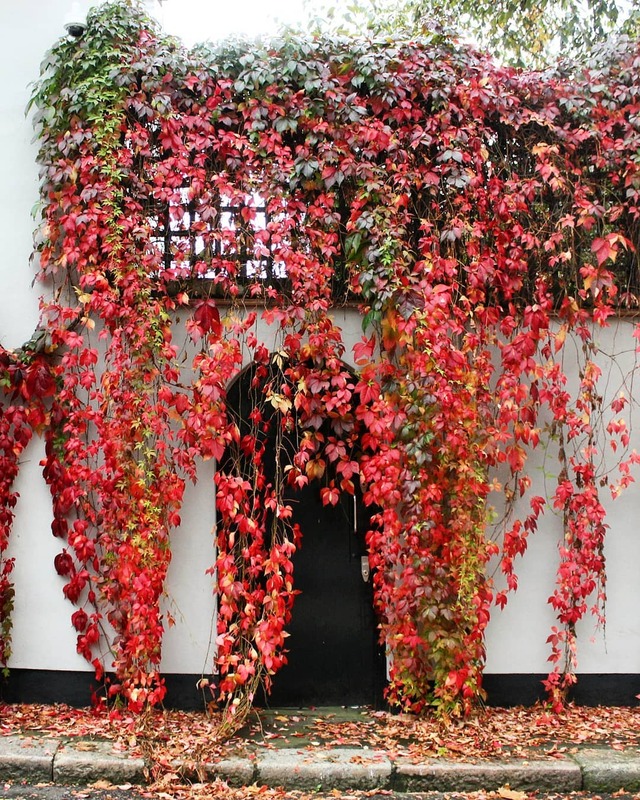 You can also scroll through our Instagram page (@secret.london) to see the best of the rest. 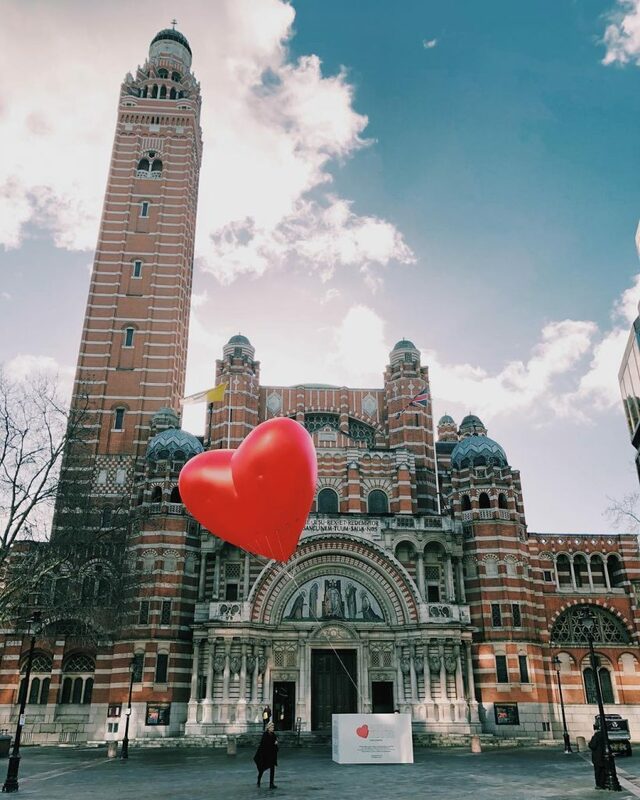 In February, giant love hearts were floating around the city. 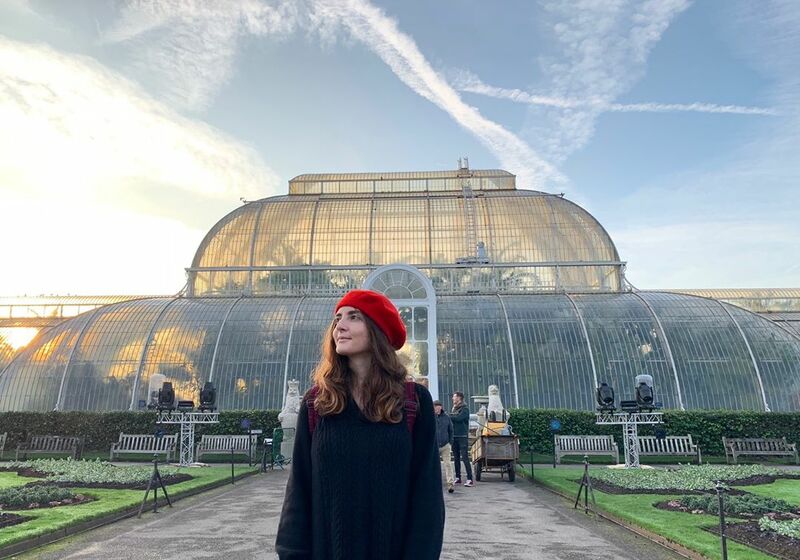 Eat your heart out, Paris. 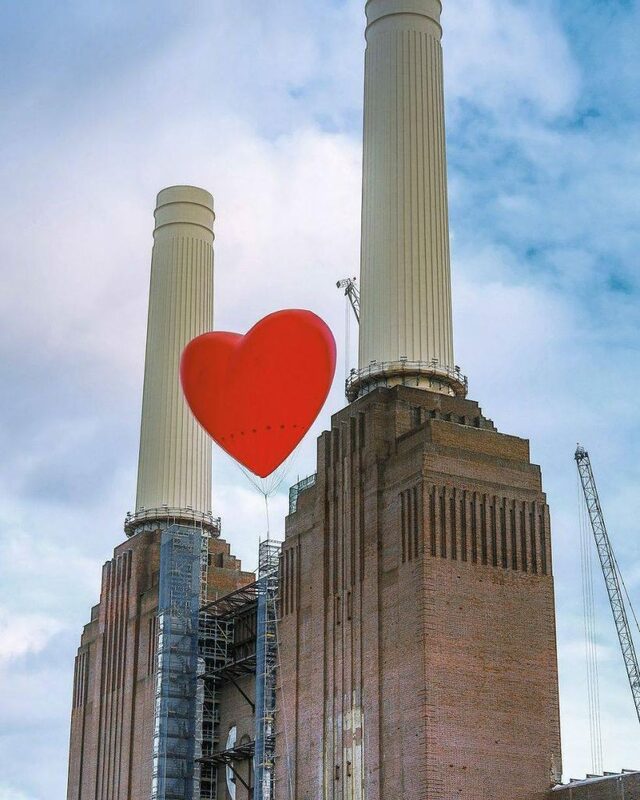 Read about the time London became the city of luuurve. 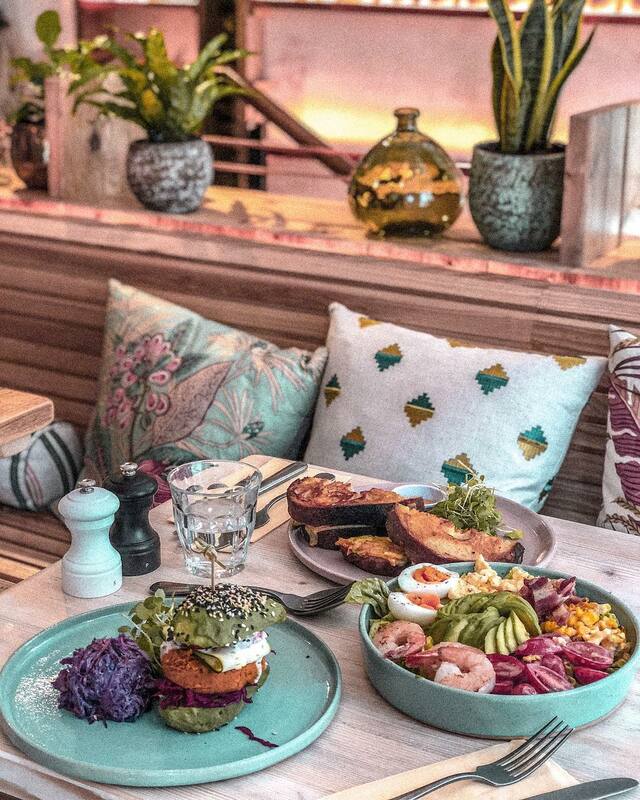 We also got a restaurant dedicated to avocado, which was pretty fantastic for the millennial community. 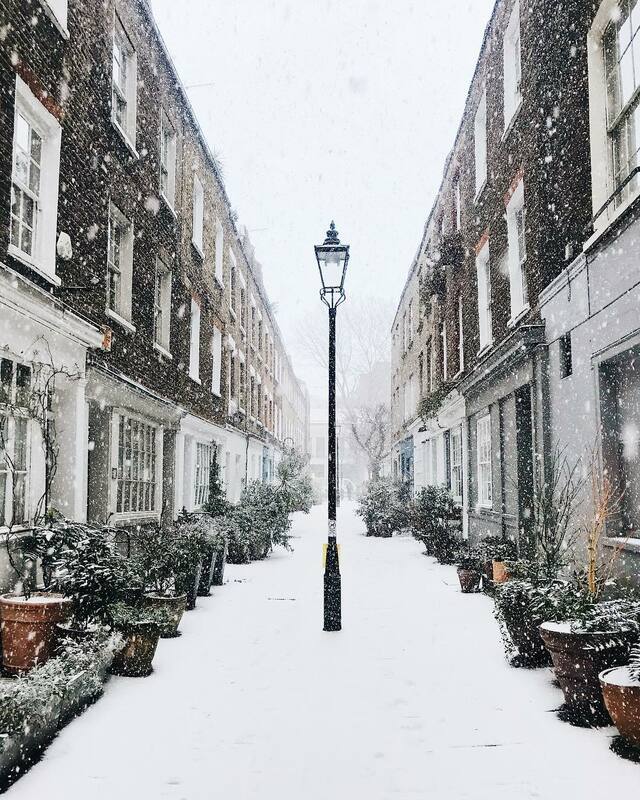 Then, as if by magic, London was covered in a beautiful blanket of snow. 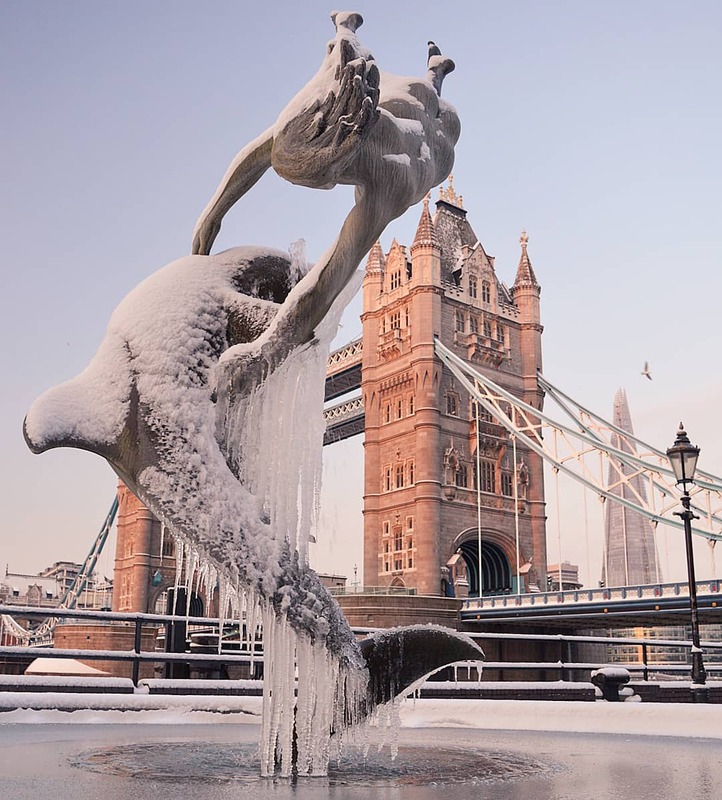 Here’s a beautiful time-lapse of the city all dressed in white. 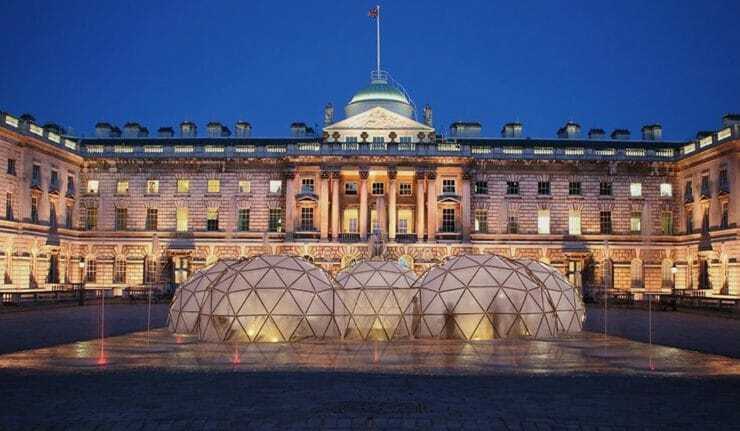 In March, a chilling installation outside Somerset House recreated pollution in five different cities. Discover how it worked here. And Kew Gardens’ Victorian Glasshouse opened again in May, after five years. Sense of Space took over Exchange Square to offer a unique escape from the hustle and bustle. Find out more here. 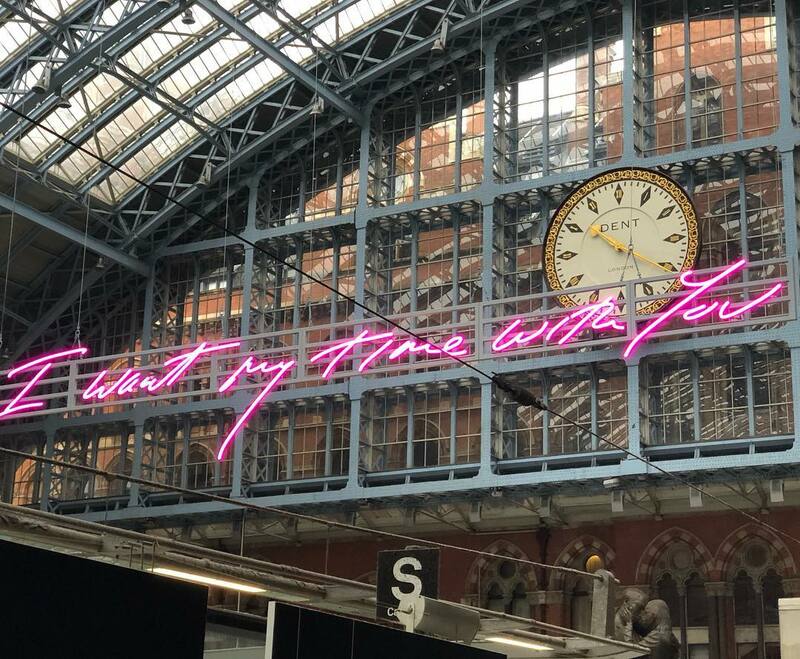 Read about ‘‘I Want My Time With You’ here. …and Parliament Square’s first female statue! 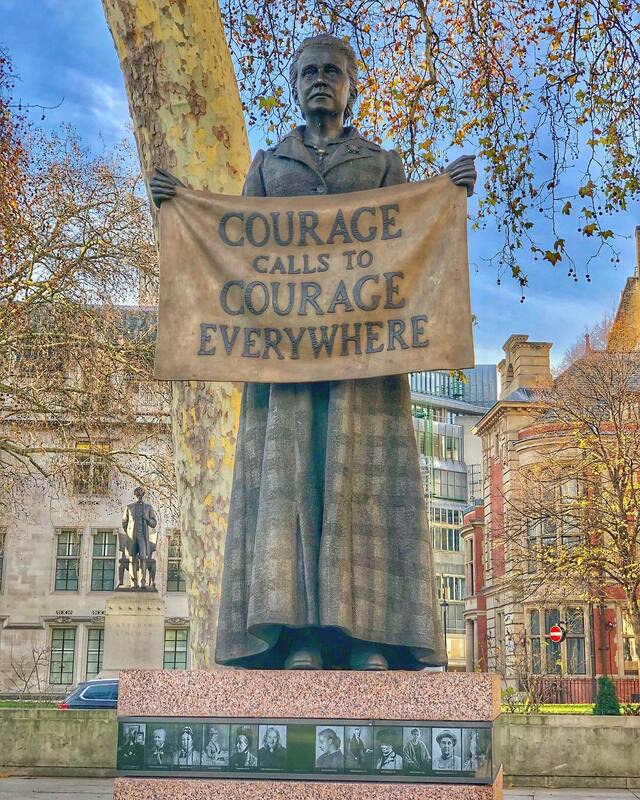 On April 24, Westminster’s Parliament Square finally got its first statue commemorating a woman. A century after her efforts helped secure women the right to vote, Millicent Fawcett will have a statue in the traditionally male-dominated square. Find out more. 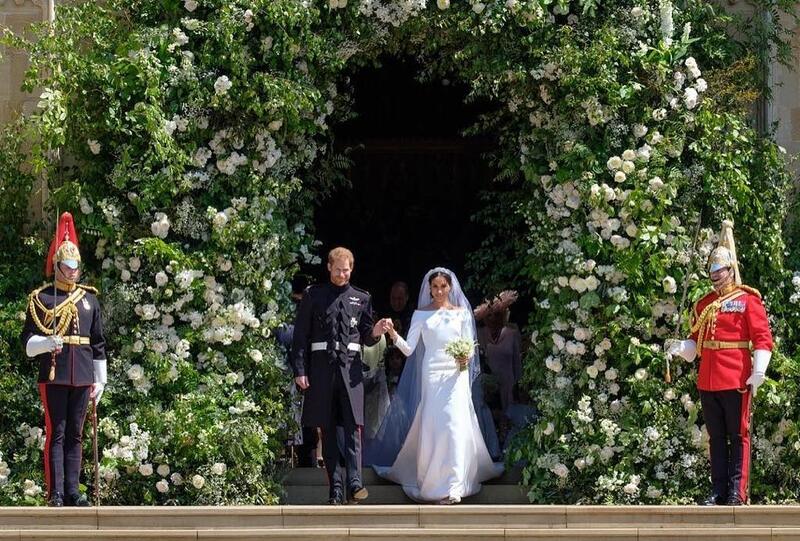 On May 19, Harry and Meghan tied the knot at Windsor Castle. 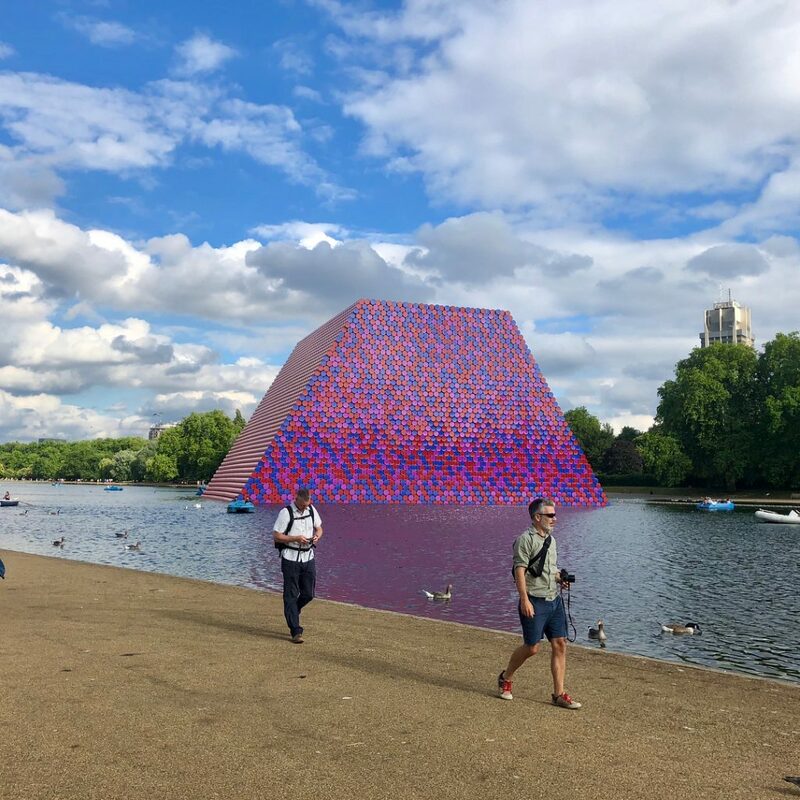 A huge, bright pink installation floated on the Serpentine. Read about ‘The London Mastaba’ here. 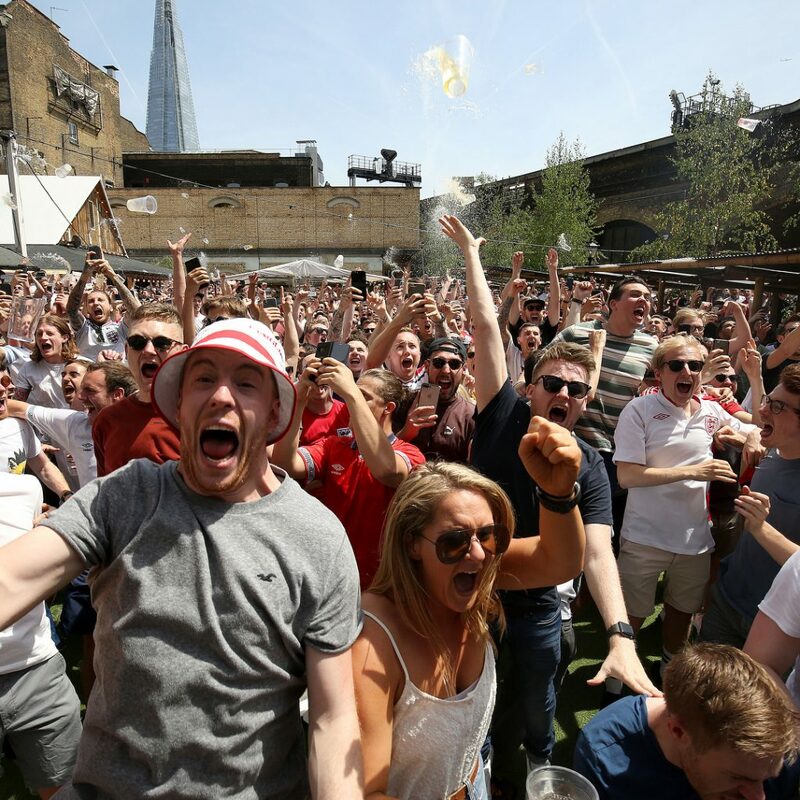 And we saw the whole country come together, although, sadly, it didn’t come home. 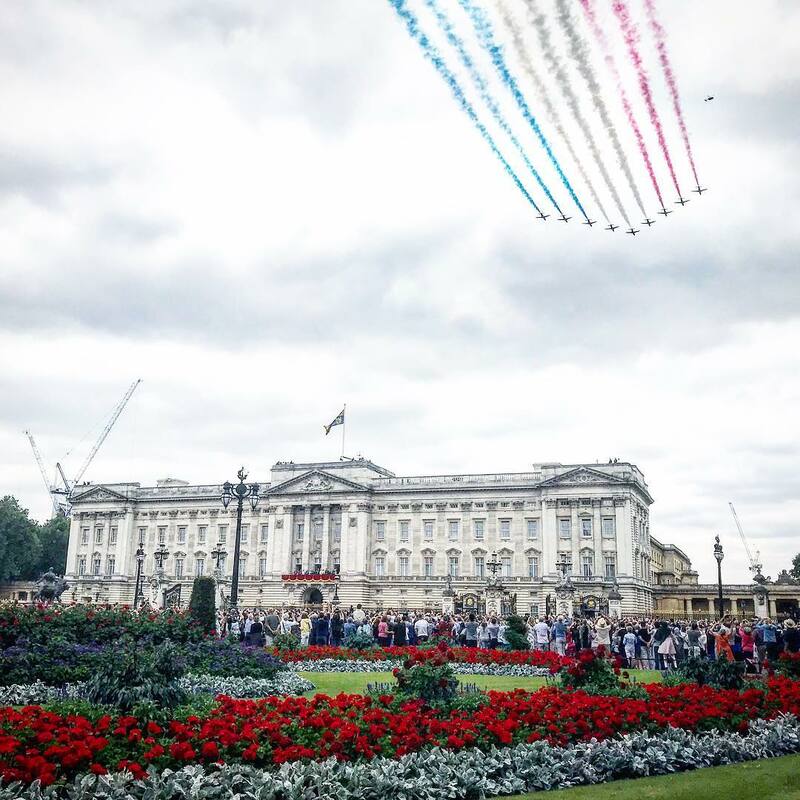 In July, the RAF celebrated their 100th anniversary with an epic flypast over London. Here are some more pictures that are just plane brilliant. 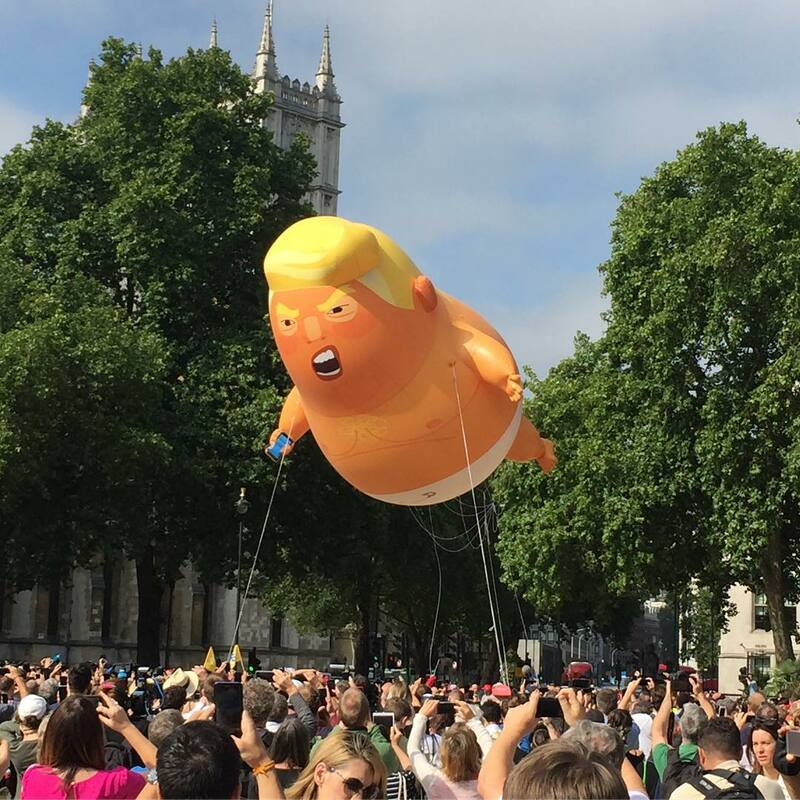 Amazingly, a huge crowdfunding appeal turned an idea for a Trump baby blimp into glorious orange reality in July. 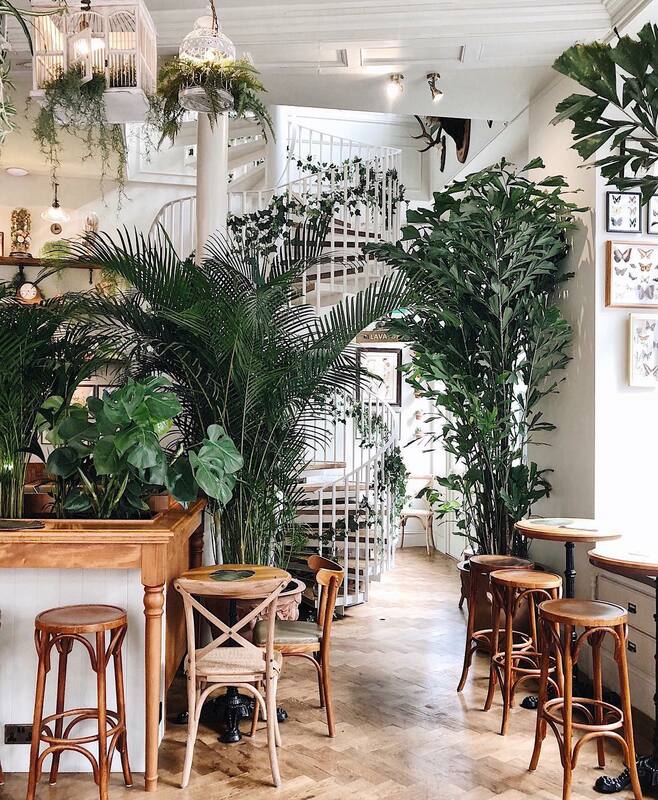 …and Mr Fogg’s House of Botanicals. 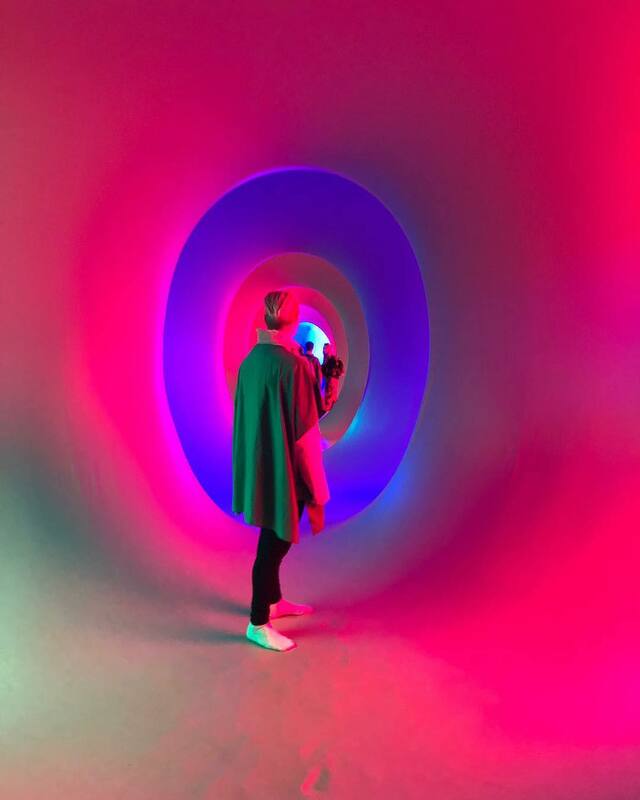 In September, an enormous inflatable Colourscape maze came to Clapham. 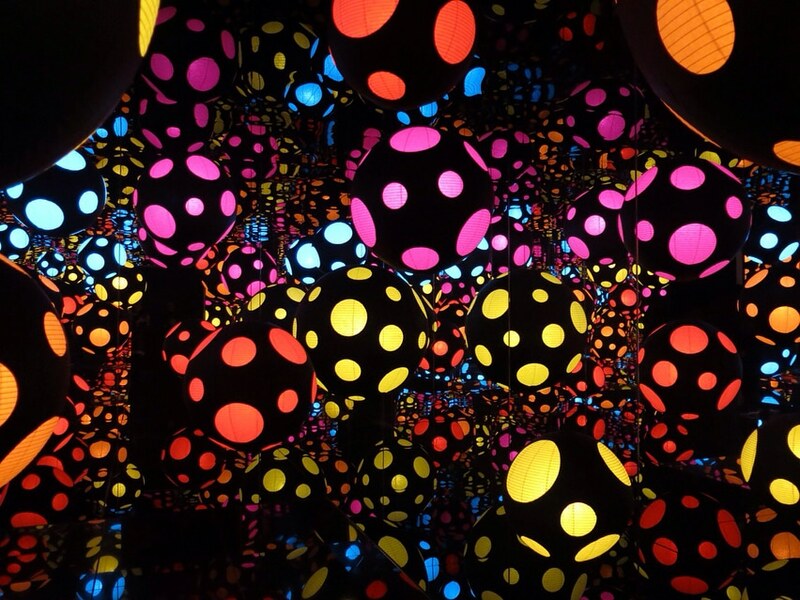 Yayoi Kusama returned with another epic exhibition, which, of course, was plastered all over Instagram. Find out what this one’s all about. 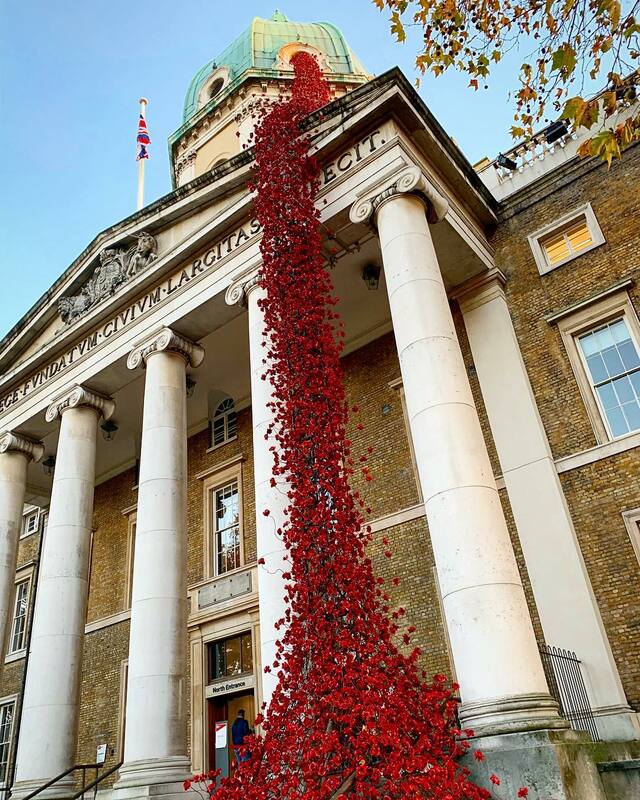 In October, a beautiful cascade of poppies spilled out of The Imperial War Museum. 11,000 poppies form ‘Weeping Window’, a fraction of the 888,246 originals, each one commemorating a British or Colonial life lost in WW1. Read more about the installation here. 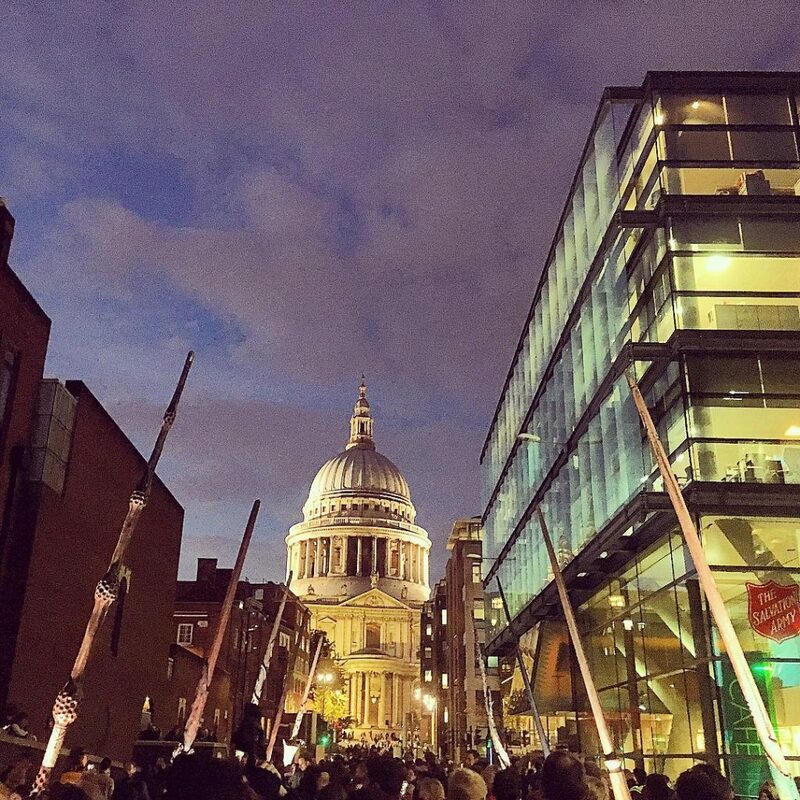 It was also the month we saw giant Harry Potter wands shining on St Paul’s Cathedral. They illuminated the city in the lead up to the new Fantastic Beasts film release. Read all about them here. 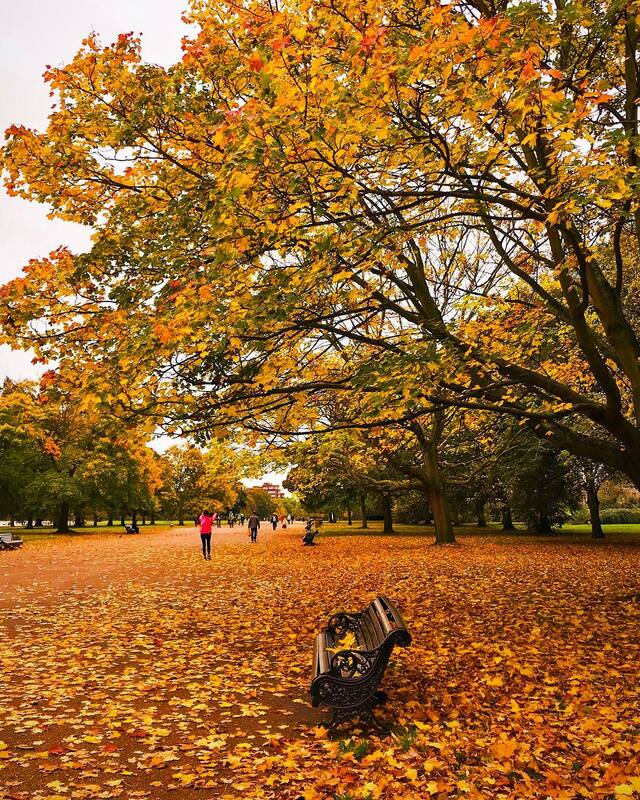 Here are 18 photos of London looking awesome in the autumn. 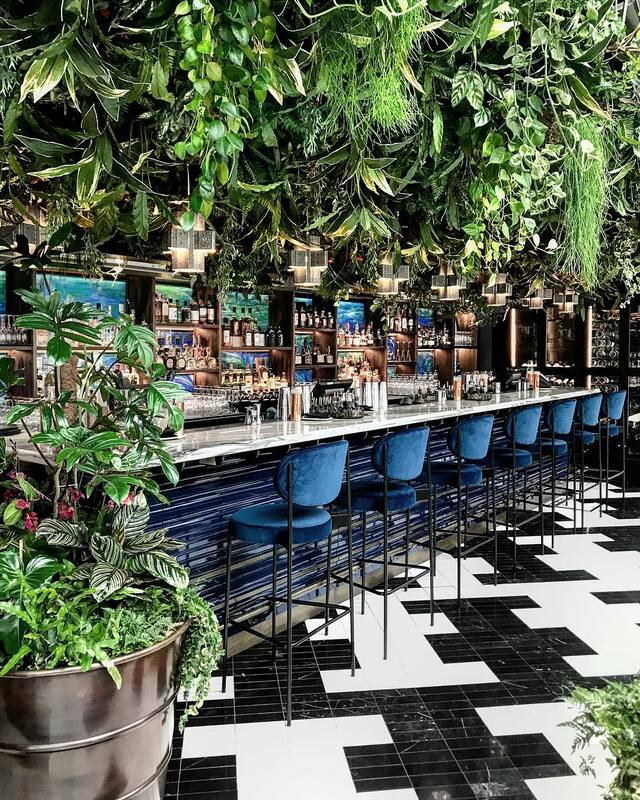 At the beginning of November, SUSHISAMBA launched a second—and totally gorgeous—new restaurant in Covent Garden. Here’s why you should visit. 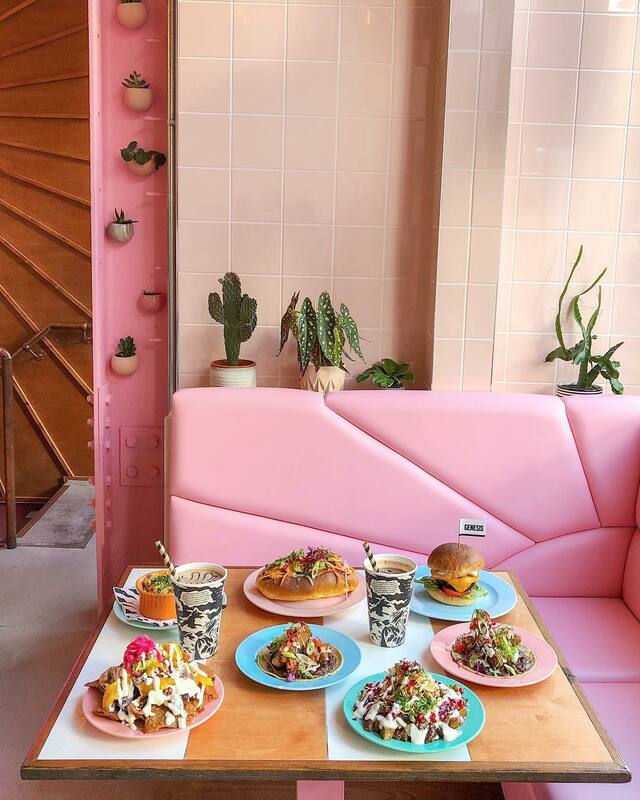 Also in November, London got a pop-up dedicated entirely to selfie-taking, and it was an Instagrammer’s dream. 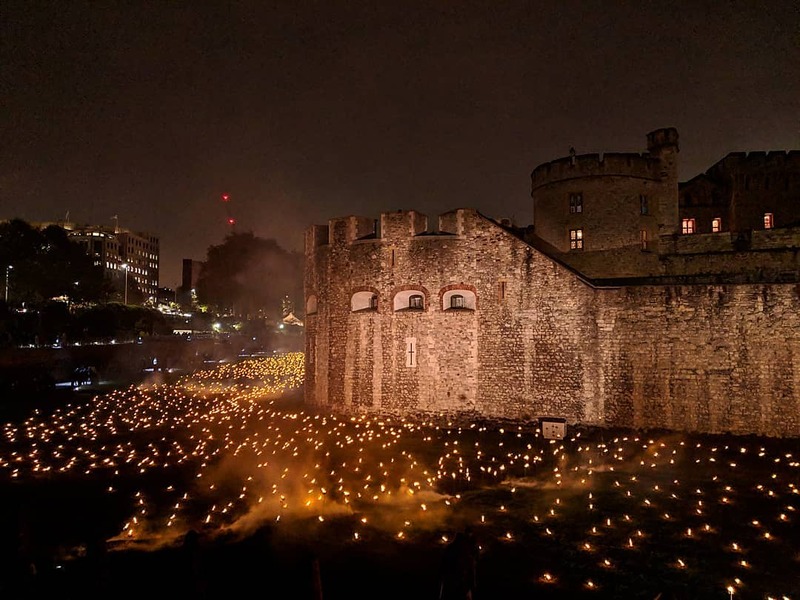 The Tower of London moat was filled with flames in honour of Remembrance Day. Marking 100 years since the end of World War 1, the moat of the historic castle was filled with flickering torches, in a moving piece called ‘Beyond the Deepening Shadow.’ More about it here. 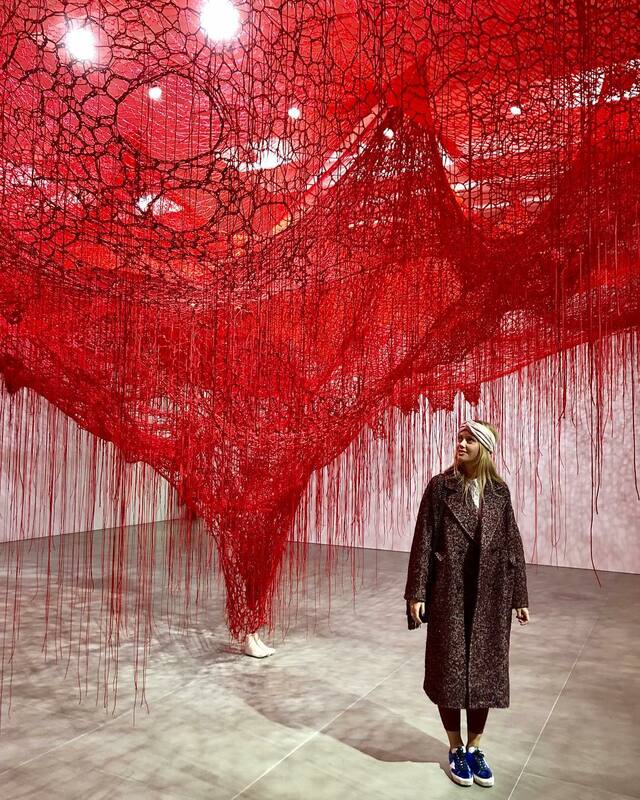 And Chiharu Shiota’s breathtaking work started filling our feeds. Acclaimed Japanese artist Chiharu Shiota installed Me Somewhere Else at Blaine Southern in Mayfair, and it’s absolutely mesmerising. It’s free to visit until January 19 – here’s what it’s all about. Hyde Park was taken over by tiny, festive doggos. 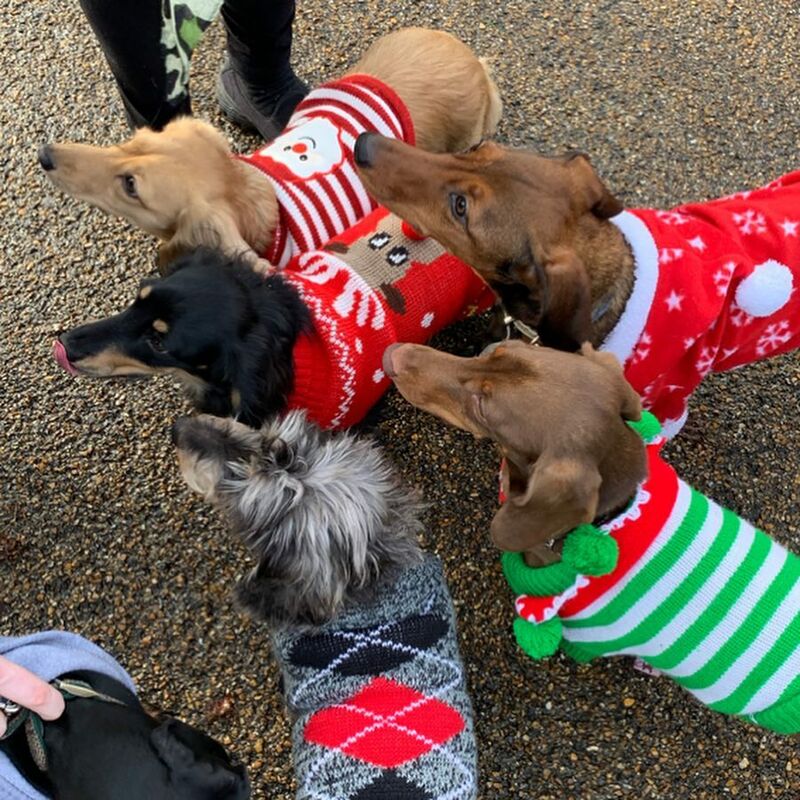 Hundreds of sausage dogs in Christmas jumpers gathered in Hyde Park in December, and they all looked absolutely dachshund in their festive wears. More pictures here. Oh, and my favourite? My personal highlight of the year? 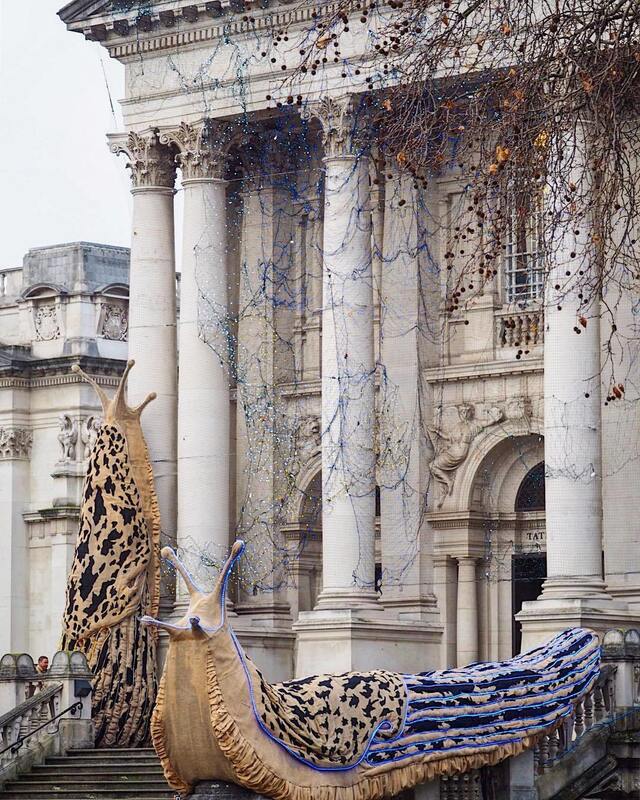 These fabulously festive slugs. 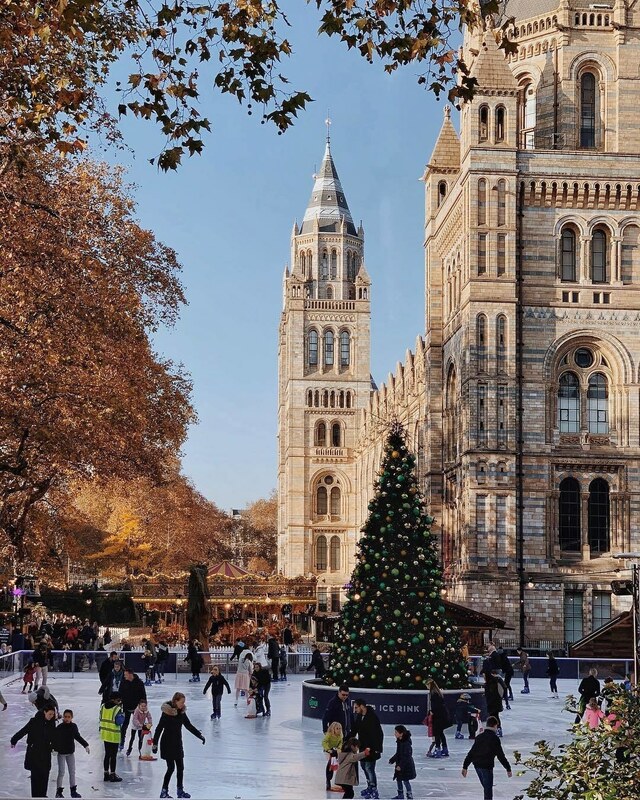 The post A Year In Pictures: 31 Amazing Instagram Moments From 2018 appeared first on Secret London.